Pier Paolo Pasolini is perhaps best known as the openly gay, avowedly Communist director of the notorious Salò, or The 120 Days of Sodom (1975). Yet, as Alain Badiou notes in the Foreword to the English translation of St. Paul, available to read at Mubi Notebook, Christian reference was key in the formation Pasolini's thought. 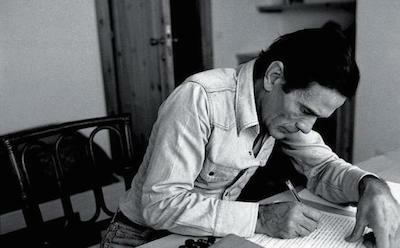 After writing The Gospel According to Matthew (1964), Pasolini had conceived an "episodic tragedy" in which the episodes of the apostle Paul's life is transposed into contemporary Europe. In "Plan for a Film About Saint Paul," also available on Mubi, Pasolini explains that the film would reveal the opposition between "the present" and "the holy". ... the "opposite of religion is not communism which, despite having taken the secular and positivist spirit from the bourgeois tradition, in the end is very religious); but the "opposite" of religion is capitalism (ruthless, cruel, cynical, purely materialistic, the cause of human beings, cradle of the worship of power, horrendous den of racism. 'Religion' retains for Pasolini the revolutionary power of human solidarity, a bulwark against the materialist noise of bourgeois culture. It is this 'religion' that he sees embodied in the persecuted and physically suffering part of his character, Saint Paul, in almost ontological contrast to the institutionalizing and officious part of the character. Intrigued? 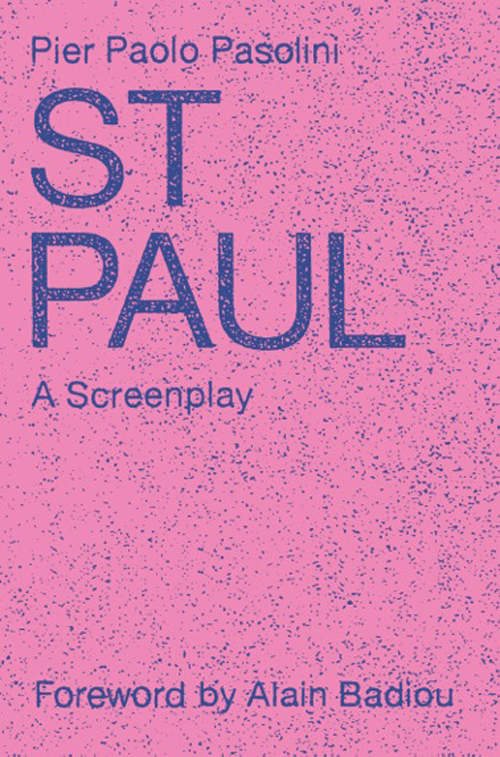 Check out our Radical Christianity list and join us for a reading of St. Paul on August 2, 2014 at Light Industry in Brooklyn, featuring Hilton Als, Elizabeth Castelli, Paul Chan, Eileen Myles, Martha Rosler, Luc Sante, Lynne Tillman, and many other readers.